When brands team up with charities, it's always something to be celebrated. 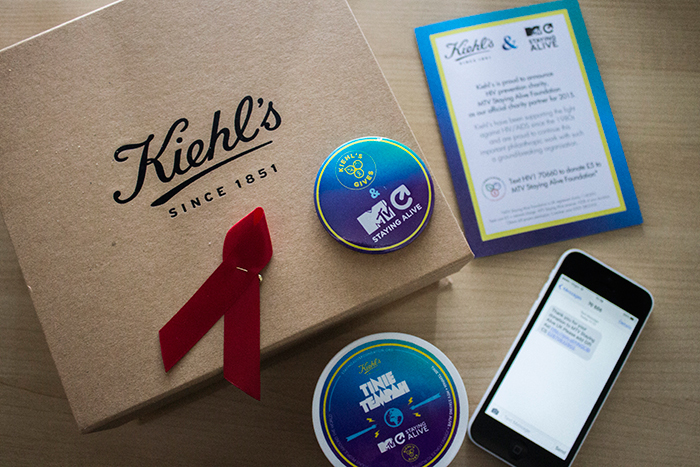 If you haven't already been aware, Kiehl's have teamed up with the MTV Staying Alive Foundation as their official charity partner of 2015. Even though 2015 is over, you can still do your bit to help out, here's some of the details. This year, Kiehl's will donate £2 for each purchase of their limited edition Ultra Facial Cream, which has been designed by the charity's ambassador, Tinie Tempah. The face cream is one of my favourite products of Kiehl's, having used it for around 2 years so if you're planning on picking up a new moisturiser anytime soon, you can do your bit for charity at the same time. I won't go into too much detail about the moisturiser but you can read about it from our Ultra Facial Cream review. If the moisturiser isn't in your budget just now, not to worry! You can still help out by texting HIV1 to 70660 to donate £5 to the MTV Staying Alive Foundation, just as I've done so in the picture above. 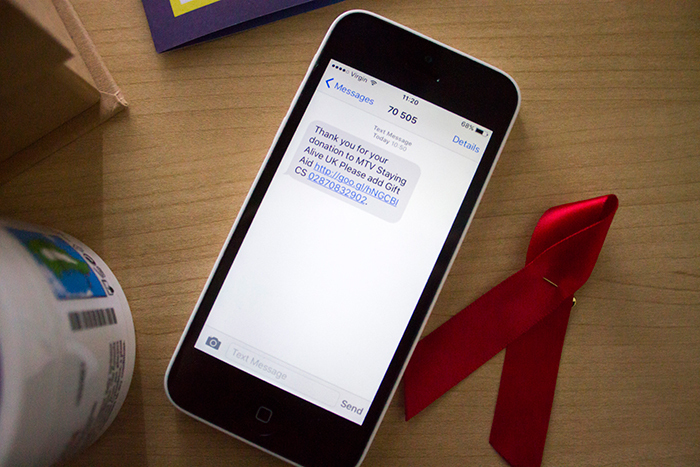 MTV will receive 100% of this donation which will go towards HIV prevention and raising awareness.